My palate for fall is endless. 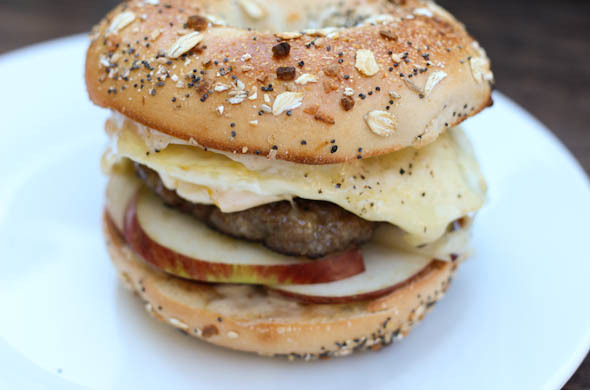 Apples, maple, cheddar, and a hint of mustard made this the best breakfast sandwich ever. Ever. 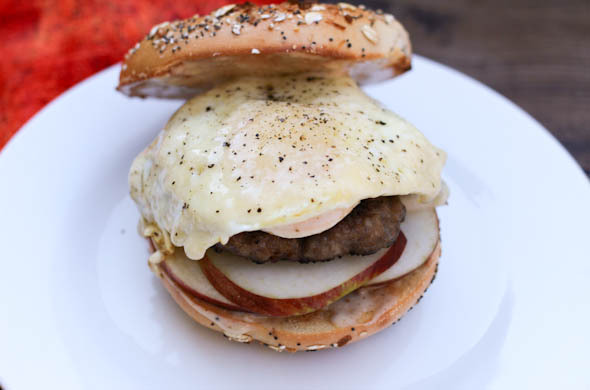 I could liiiive on breakfast sandwiches and definitely have my favorites. The apple provides the crunch and freshness with a little kick from the mustard in the sauce. Pan fry the sausage patty until cooked through. 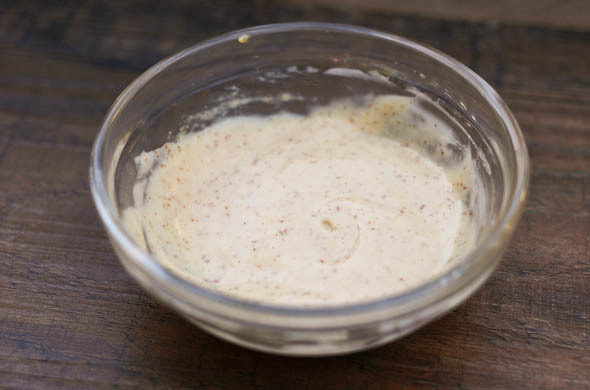 Mix together the mayo, mustard, and maple spread. Fry the egg in the pan from the sausage. Flip and add the cheese. Cover to melt the cheese. 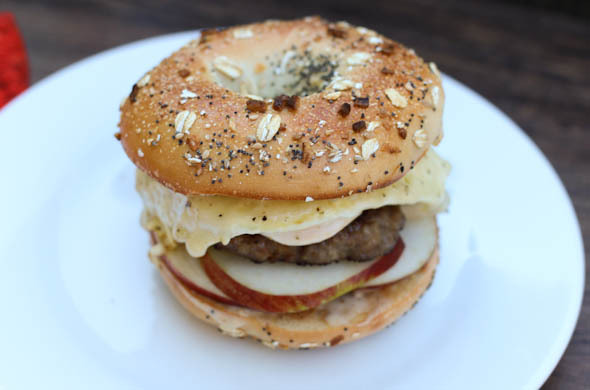 Assemble the bagel with some mayo/mustard/maple spread, then apple slices, then sausage, then egg and cheese. This was a treat for a day off. I really loved the sweetness of the sausage, and the sharp white cheddar. The sauce was subtle and a nice touch. Everything bagels from my town bagel place are even better when they’re day-old and less than half off!